Universal mobile telecommunications system - UMTS - long term evolution - LTE - is a set of projected improvements to the 3rd generation wireless systems - 3G.These improvements include 100 Mbps+ data transmission rates, reduced transmission delays (reduced latency), increased system capacity and shorter transmission latency times. The UMTS LTE system allows cellular carriers to offer a very efficient (more subscribers per cell site) mix of multimedia services (voice, data, and video) for existing (mobile telephone) and new (Internet and television) customers. The UMTS LTE system is designed to permit advanced and reliable services including media streaming and large file transfers. These new services offer the potential of higher average revenue per user (ARPU) than existing 1st and 2nd generation mobile customers. For existing mobile carriers that upgrade to UMTS LTE, marketing is geared towards acquiring new data-only and mobile television customers. 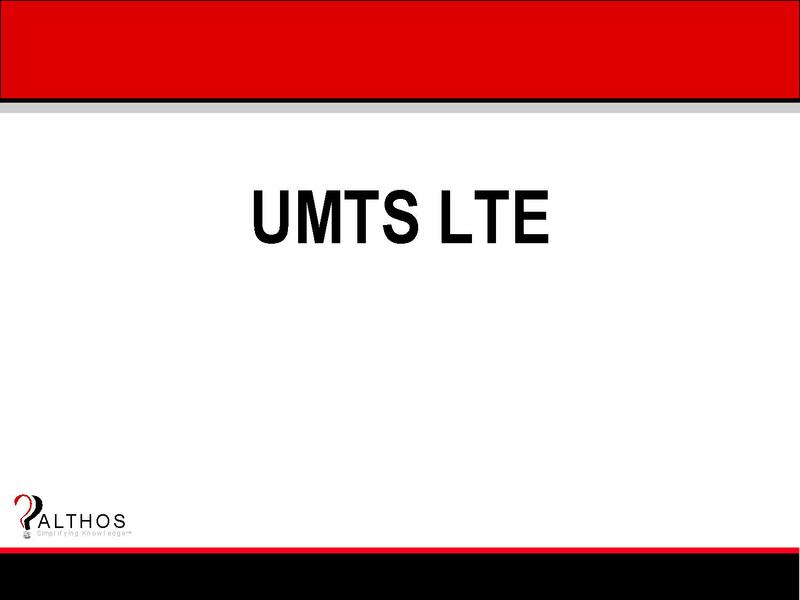 UMTS LTE is the natural evolution of 3GPP GSM and UMTS WCDMA networks. Since LTE provides services above the original 3rd generation (3G) requirements, but does not provide service levels for 4th generation (4G) requirements, it is sometimes called “Beyond 3G”. The key attributes of a UMTS LTE system include a variable bandwidth (1.4 MHz up to 20 MHz) OFDM radio channel, the co-existence of multiple physical channels on the same frequency using channel codes, many logical (transport) channels, separate signaling channels, multiple service QoS types, multi-system operation, and other advanced operational features. Each wide (20 MHz) UMTS LTE RF channel can have more than 800 simultaneous communication channels. Some of the channels are used for control purposes, while others are used for voice (audio) and user data transmission. This book explains the basic components, technologies used, and operation of UMTS LTE systems. You will discover why mobile telephone service providers are upgrading their 2nd and 3nd generation digital mobile to a more efficient and feature rich UMTS LTE generation system.